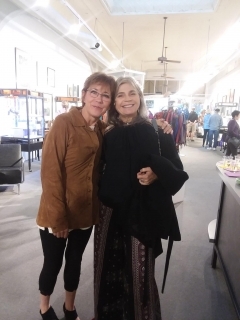 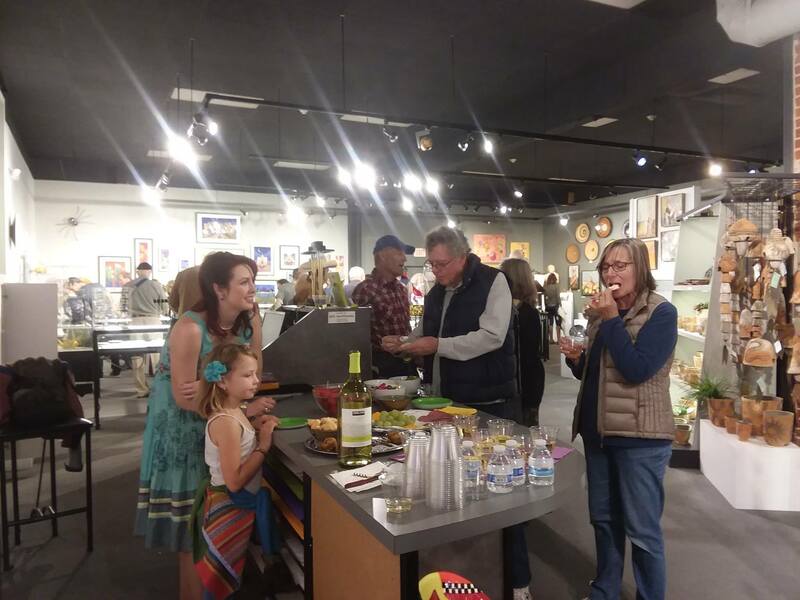 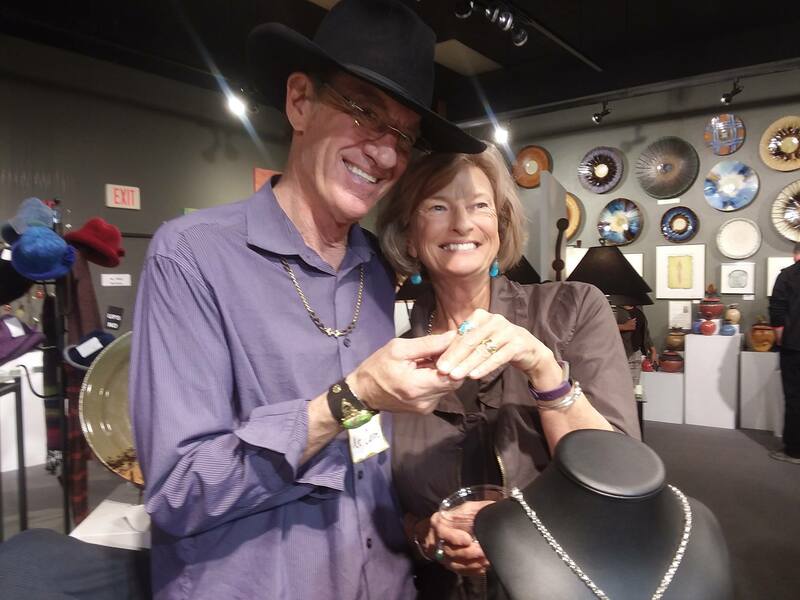 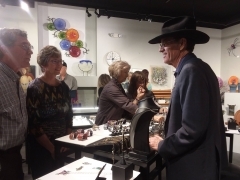 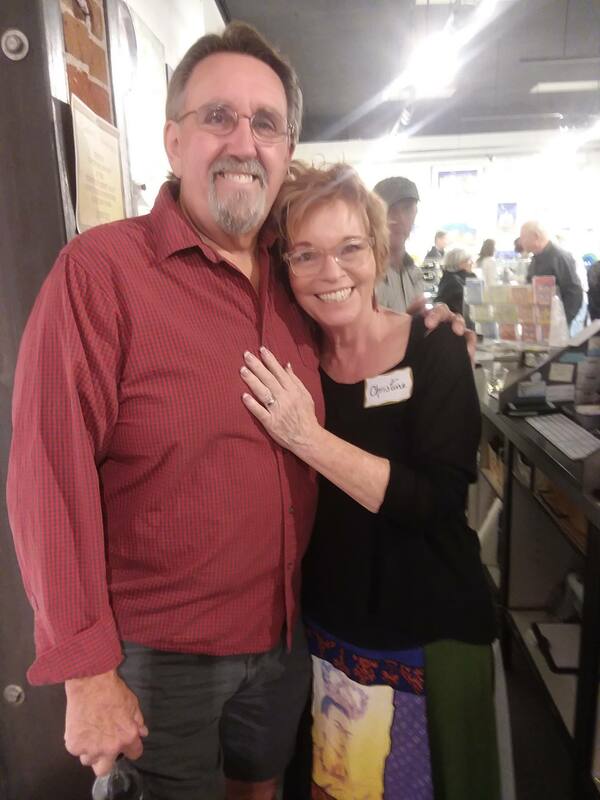 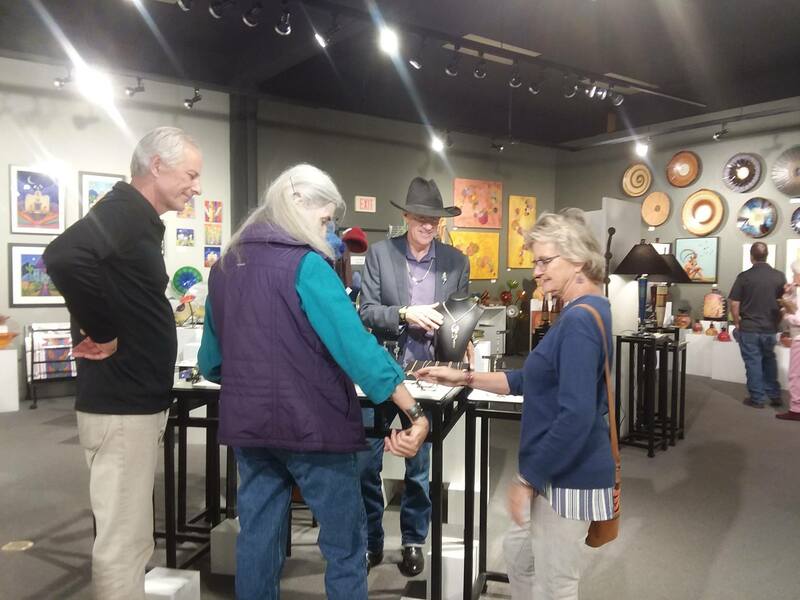 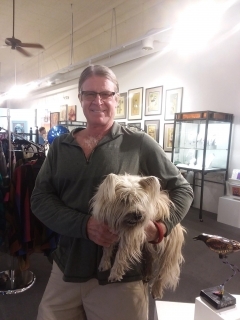 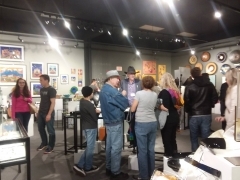 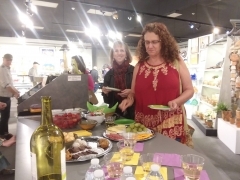 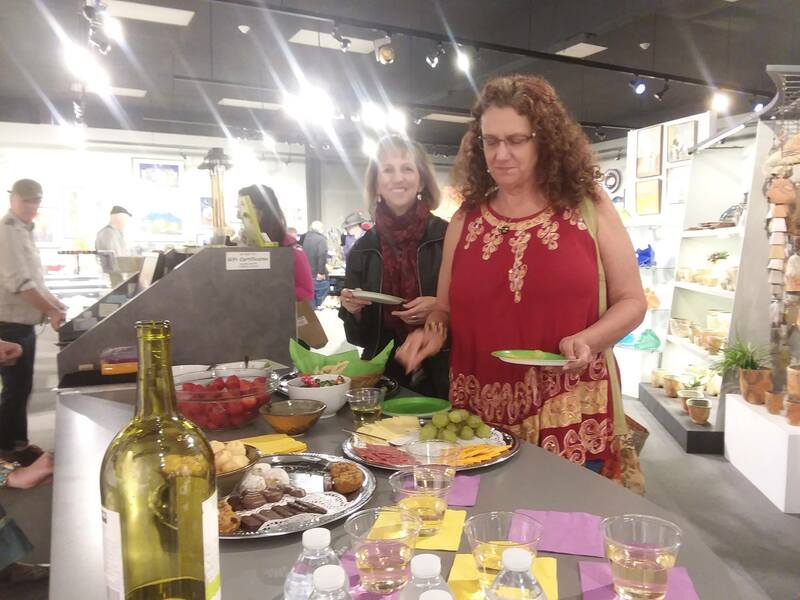 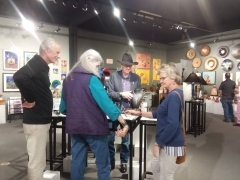 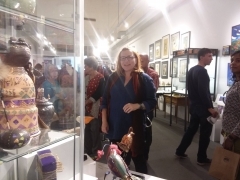 What a Great Crowd and a Great Time we had at KIT CARSON’s Reception and Trunk Show!! 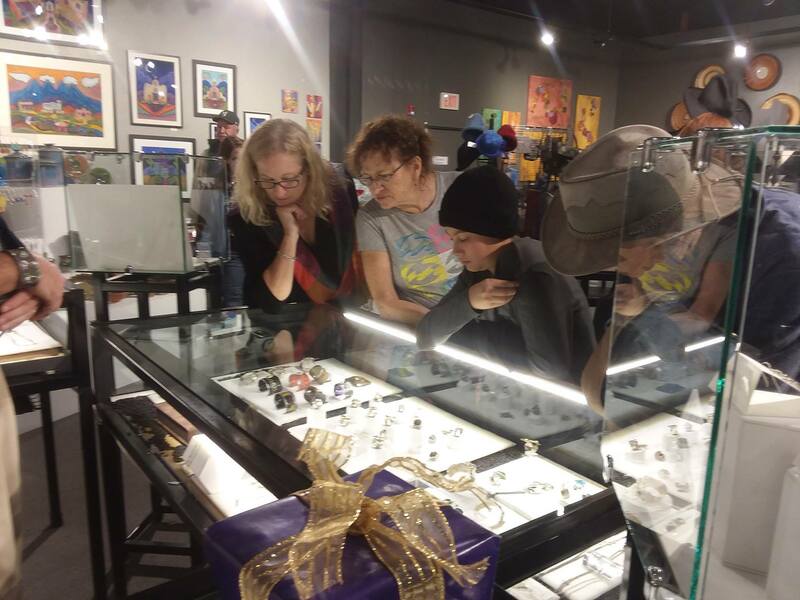 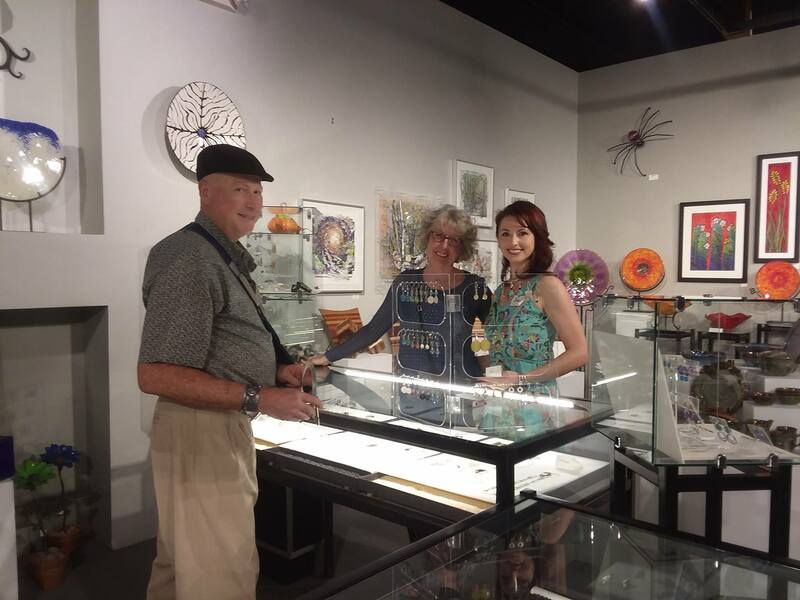 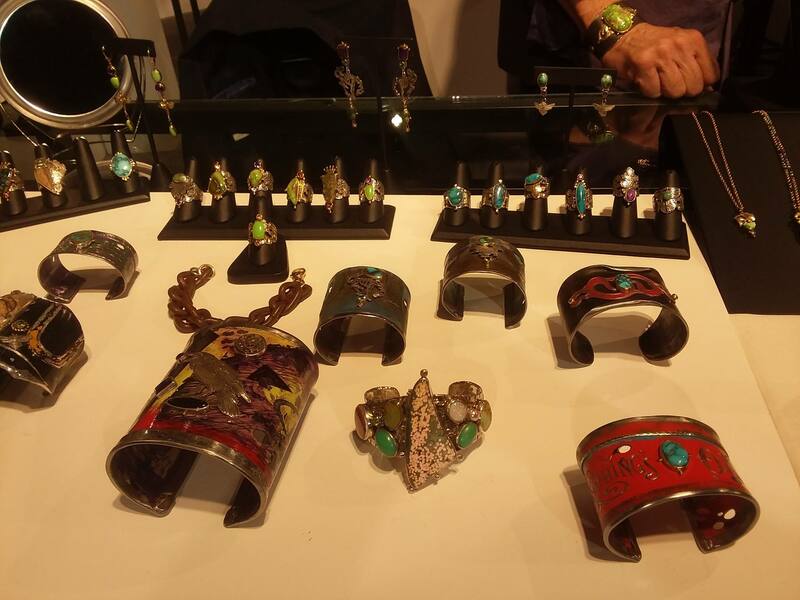 Lots of new friends came by to see what Amazing jewelry Kit brought in…and it was Amazing!! 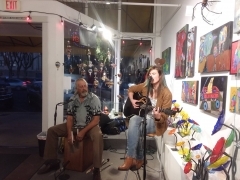 Kaileena an’ Dan played their hearts out to the delight of the crowd. THANK YOU to all who made the evening so enjoyable and successful! Kit Carson and our lovely Peggy. All smiles after purchasing one of Kit's beautiful rings!! 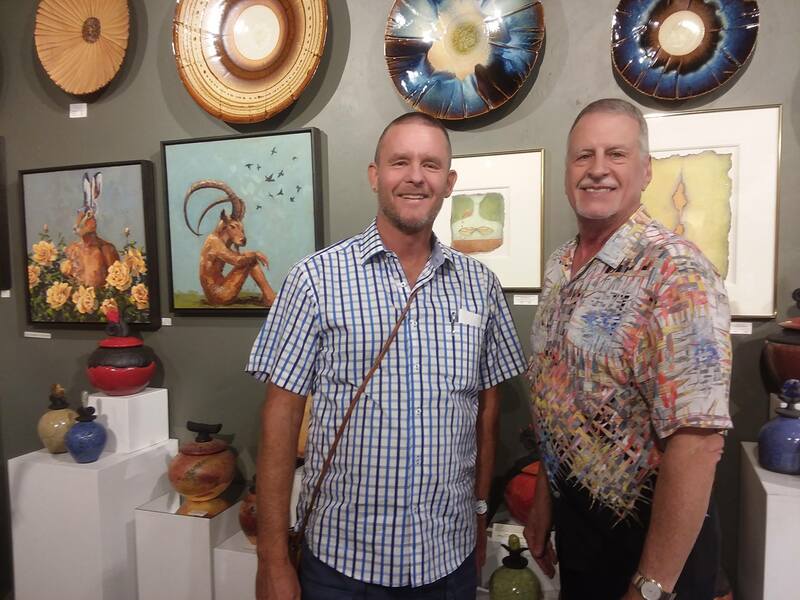 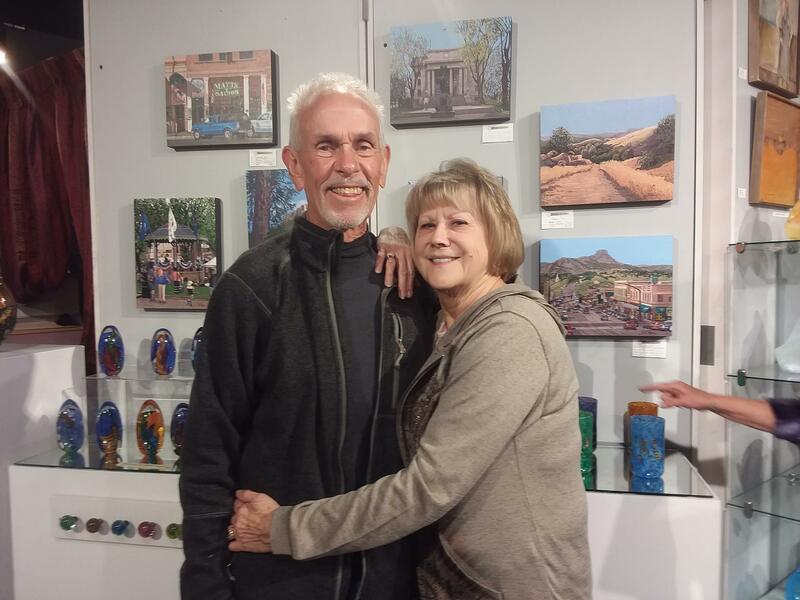 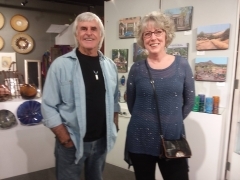 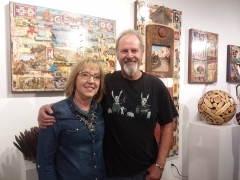 Dave and Donna Newman standing in front of his incredible art work! 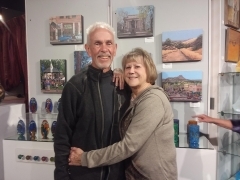 Christine with her husband, Tony. 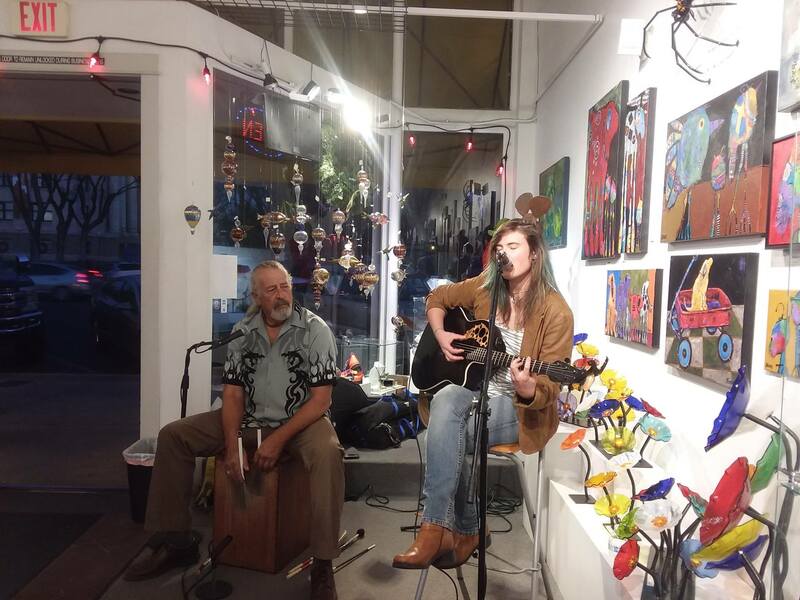 Kaileen an' Dan playing her original "Hazel Soul" music. 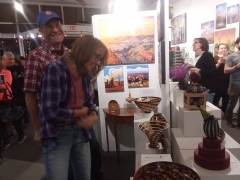 John, Karen and Cody enjoying the evening. 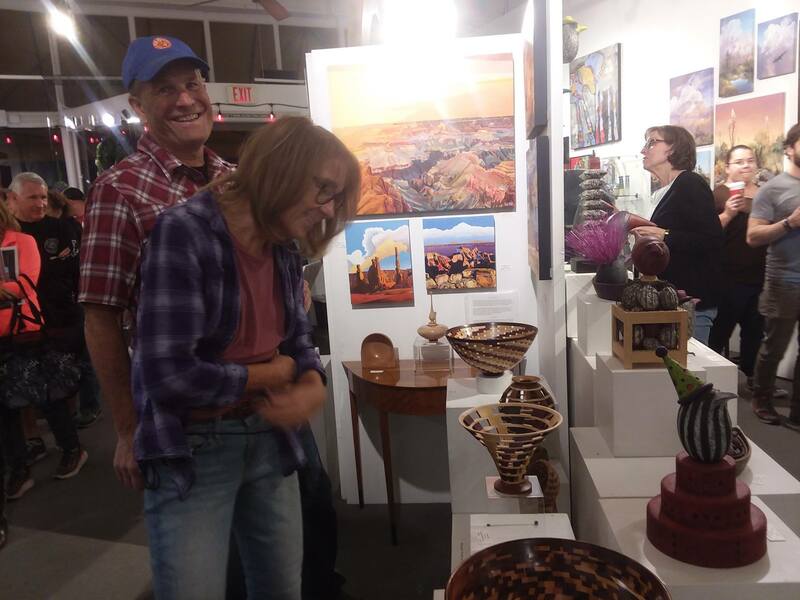 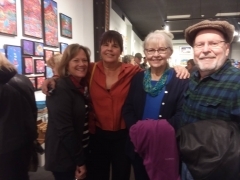 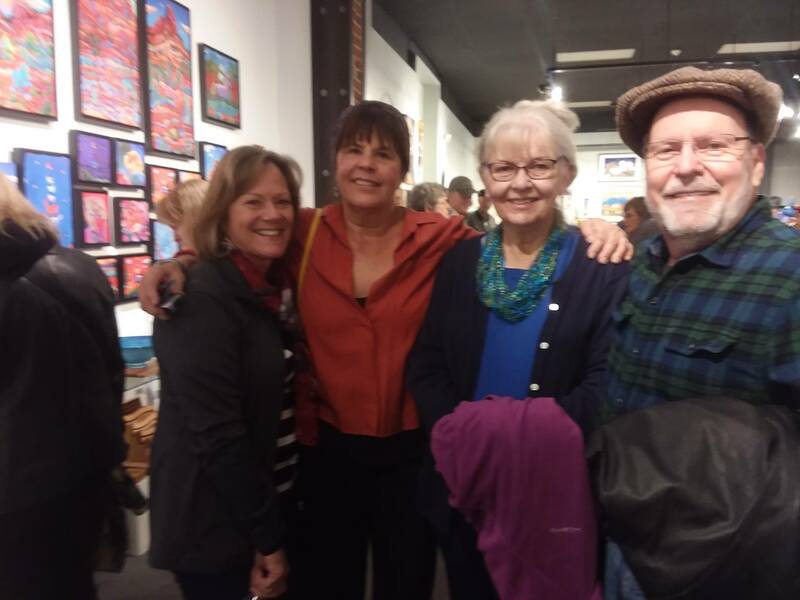 Frannie and Joyce lovin' the crowd, music and art!